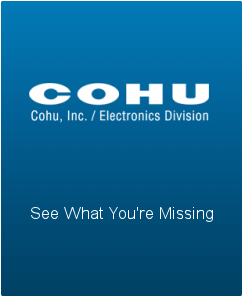 Cohu is a high-value, solutions provider for critical, sensitive environments with focus on providing the most reliable, rugged, outdoor PTZ cameras in the market. Their IP, High-Definition Helios cameras, combined with powerful megapixel lens optics, are capable of seeing much farther than traditional HD camera systems, operate up to +74 degrees Celsius, and carry the highest shock and vibration specifications in the industry. Kopin is the leading U.S. manufacturer of ruggedized micro-displays for military applications with over 250,000 display systems fielded. Kopin’s demonstrated expertise in electro-optical design and development combined with our high volume production capabilities are battlefield proven. All higher level assemblies are manufactured in a class 10 clean room environment providing image quality you can trust. Since 1981, LHERITIER has allied conception, development, and production of colour and B/W Cameras (Low light level, HDTV, Intensified, Day/Night mono-channel, Mega-pixel) and Vision Systems of very high performance. New Imaging Technologies (NIT) is a French fabless CMOS specialist offering standard and customized CMOS imaging sensors, ROIC and camera/module based on its patented Wide Dynamic Range WDR technology. 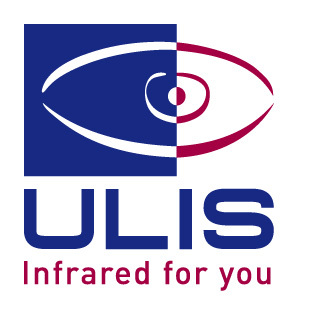 ULIS a world leader in uncooled IR imanging sencors, addressing Thermography, Surveillance, transportation and Military applications.